Kelly Mckinney, born and raised in Greensboro, is legally blind. But that hasn’t stopped her from graduating from Page High School, studying Culinary Technology at GTCC, working in the food service industry, and raising her two daughters. 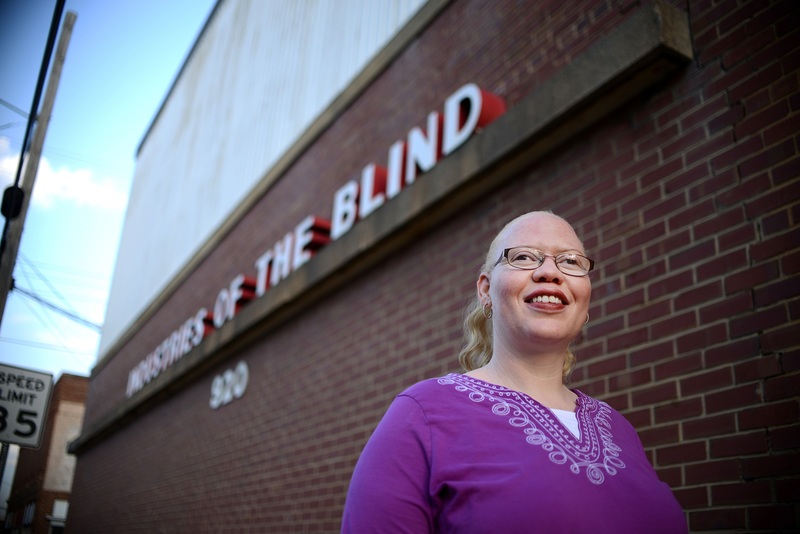 While in between jobs, on a whim Kelly reached out to Industries of the Blind (IOB). IOB has been in Greensboro for over 80 years and has more than 200 employees. Seventy-five percent of their staff is legally blind, meaning their vision cannot be correct better than 20/200 or they have a field of vision limited to 20 degrees or less. “They asked me if I could sew and I had no experience, but they were willing to train me. They taught me a skill I thought I could never do,” she says. 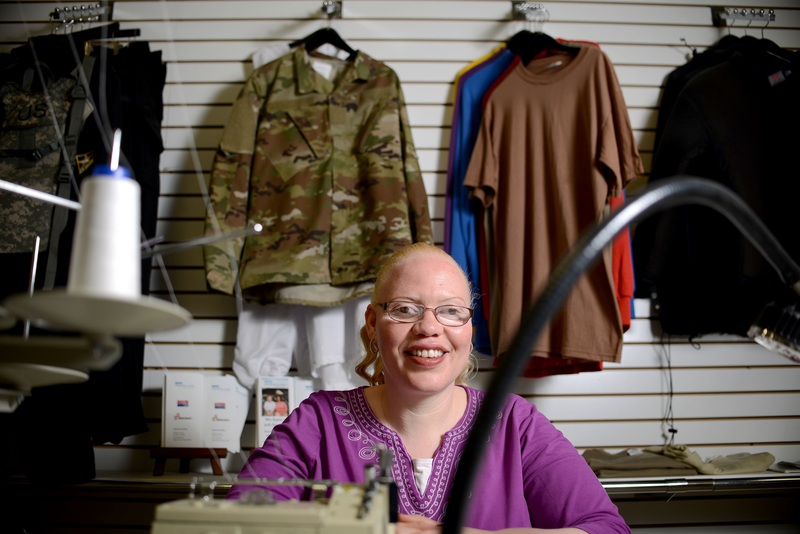 In her four-and-a-half years at IOB, Kelly has had many different jobs – sewing T-shirts, cold weather jackets, and physical fitness pants for various branches of the military. Kelly works on a team of nine, but there about 45 people at IOB that produce about 300-325 military jackets daily. Other teams make about 450 physical fitness pants and up to 2,400 T-shirts daily, depending on the need. Aside from military apparel, IOB also assembles pens, clipboards, brooms, and other janitorial supplies. “I get up every day excited to come here. I never worked or went to school with someone with my same disabilities and I enjoy being able to relate to them,” she says. There are many misconceptions of persons with disabilities.